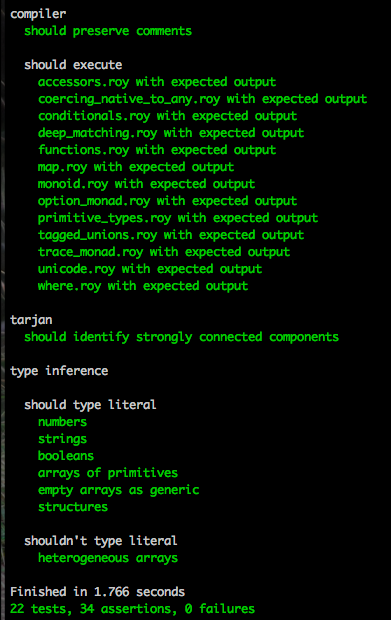 I've rewritten Roy's tests to be Jasmine specifications. Previously I had written my own test runner which didn't work very well. The custom test runner only supported functional level tests; it just executed Roy files and compared that with expected output. I've now started writing finer grained tests. I'm really missing QuickCheck for this stuff - I might take a look at Crockford's JSCheck.